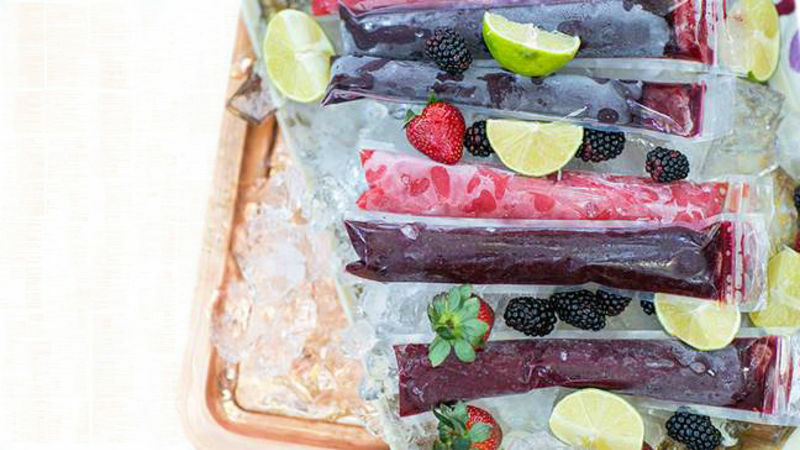 Pour into plastic ice-pop freezer bags and let them freeze overnight. When frozen, serve and eat right from the freezer bags. Plastic ice-pop freezer bag tubes can be found at big box stores or online.